I have never seen a moose. I mean, I have seen photographs, heads mounted on walls, Rocky and Bullwinkle, but not one in real life. With the exception of my eight-year absence from Minnesota, I have been to the Boundary Waters every year, at least once a year, since I was six. 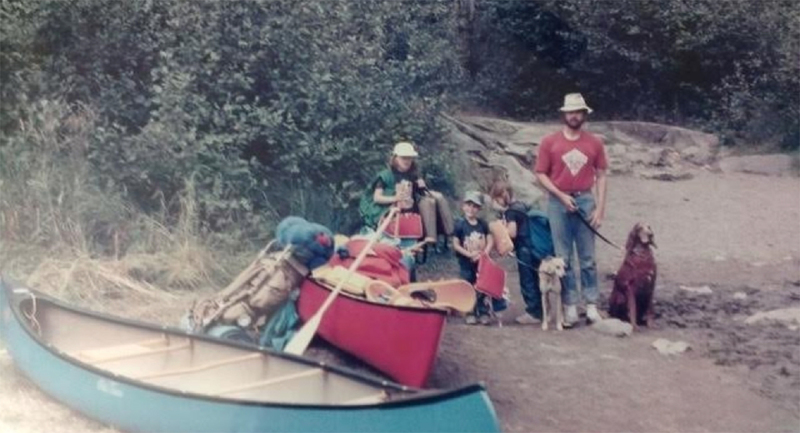 I am certain I was six, because in one of the earliest BWCA trip photos, my brother, sister, and I are all wearing our 1987 World Series Champions t-shirts and I am not sporting the unfortunate bowl cut I had in kindergarten. I didn’t see any moose in the 1980s and they have evaded me ever since. I know I have been close; fresh droppings, giant hoof tracks in still-wet mud tell me so. And yet, I worry that I may never serendipitously see one of these majestic creatures. Scientists are unable to pinpoint the decline in moose population on any one cause: disease, altered habitat, warm winters, or predators. All of these are certainly factors in their disappearance and in the fight for survival, if you can’t beat it, you flee or you die. 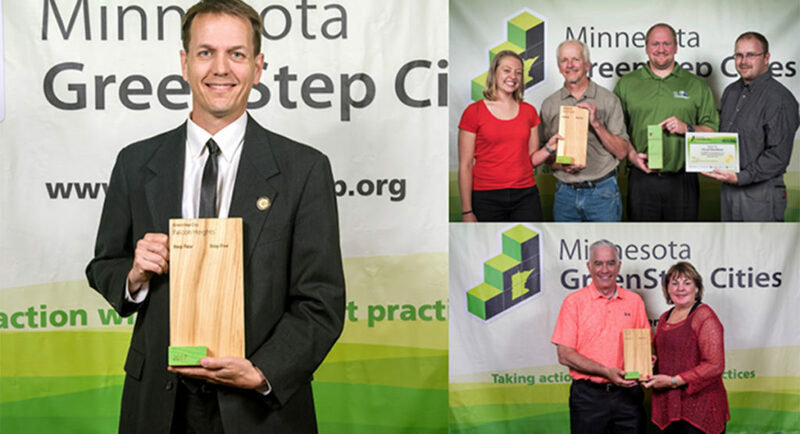 What does this mean for Minnesota communities? We are unlikely to see dramatic shifts that will lead to the chronic disruption of our daily lives anytime soon. We are, however, already seeing an increase in heavy rain events, longer periods of drought, extended heatwaves, more frequent extreme storms, and more. We know this is happening, but are largely underprepared for such consequential events. Many public works departments across the country are beginning to account for the new normal in their operations whether they call it resilience planning or not. There are significant changes to how storm water is managed, for instance. Rather than sending runoff away as quickly as possible, there are designs to capture it and allow for increased infiltration, leading to cleaner water and less flooding downstream during heavy rain events. While it is important to make these incremental changes in municipal operations, it is more important to be strategic, inclusive, and proactive when it comes to planning for resilience amidst a changing climate. In addition to infrastructural and environmental concerns, cities need to consider the health of residents and impact on vulnerable populations. City budgets should address not only the potential for increased costs associated with maintaining and repairing infrastructure in the wake of more extreme weather patterns, but also for unanticipated economic turbulence. Part of resilience is being prepared to respond and adapt to unforeseen weather, social, and economic changes. Another part of resilience is to limit future risk and accelerate recovery by increasing the use of clean energy sources, such as solar or wind, combined with storage. 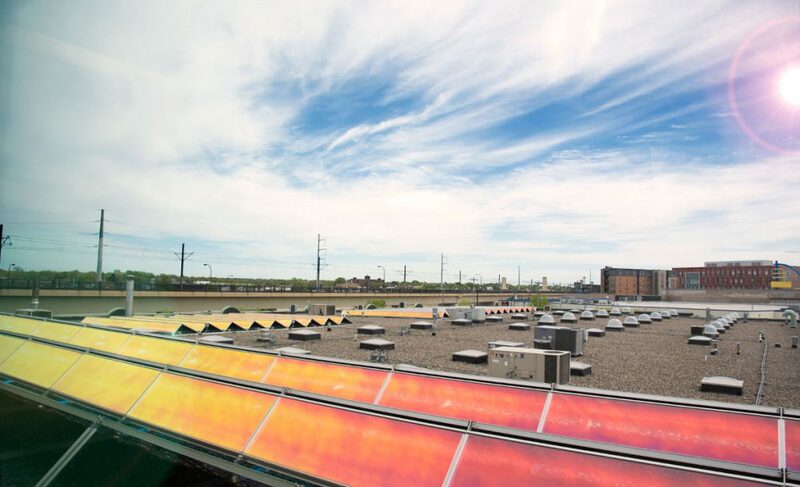 Reducing greenhouse gas emissions today will lessen the burden for the cities of tomorrow. In the Twin Cities Metropolitan Area, the upcoming comprehensive plan updates may be our last best opportunity to take meaningful action to address resilience and sustainability. The Metropolitan Council understands this as a crucial time and is encouraging cities to do more with their plans to address resilience. In the recently updated Local Planning Handbook, the Met Council added a resilience element to guide cities in how they could approach integrating resilience into their comprehensive plans. While this element is not required, using a resilience framework to guide city planning will strengthen the region’s ability to withstand and recover from unforeseen events. 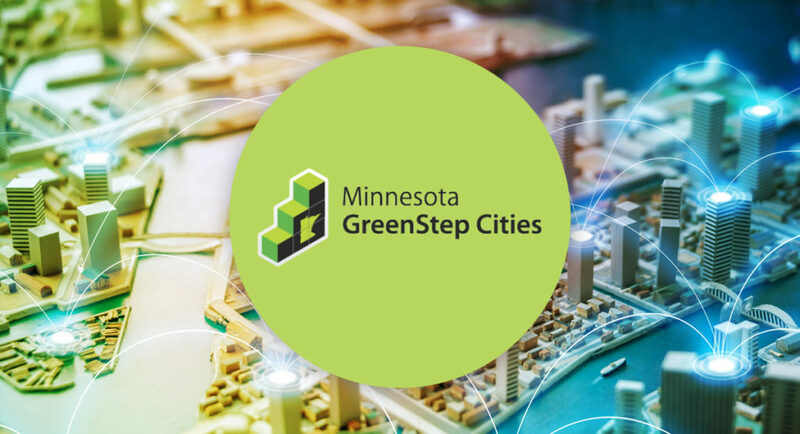 In concert with the Met Council’s efforts around resiliency, the GreenStep Cities Program will also be adding resilience to its inventory of best practices. Best practice #29 is the first new suite of best practice actions since the program’s inception. BP29 covers a wide range of actions cities can take towards achieving their sustainability and resilience goals. This best practice was developed to help cities consider existing vulnerabilities in city operations in order to better identify opportunities to enhance efforts for increased resilience. Recently world leaders came together at the Paris Climate Conference to reach an agreement to curb greenhouse gas emissions and limit global temperature rise. This is an enormous challenge for the world, but not an impossible one. While agreement was reached at the international level, implementation and tangible changes will come from the local level. Cities are critical in the efforts to reduce greenhouse gases and increase resilience. Currently 2015 is the hottest year on record, with 2014 coming in second. We are in the midst of the strongest El Niño we have ever seen – I am willing to bet 2016 goes for gold. The next round of comprehensive plans will begin in about ten years. A lot can happen in that time. How we choose to prepare for it is in the hands of city leaders. I am hopeful that we are at the beginning of a sea change in how we approach city planning. For now, I await the day I calmly paddle through a marshy, northern lake and look over the tall grass to see a bull lift his head from a drink of water.